Deer Haven Lodge sits on the beautiful Ten Sleep stream in the Big Horn Mountains, and is very close to the popular West Ten Sleep Trailhead. Wildlife around Deer Haven is fantastic... moose & deer mingle around the cabins frequently. Deer Haven Restaurant is only open during our summer hours. Feel free to drive or sled to Meadowlark Lake for bar and restaurant when you book a room at Deer Haven Lodge. 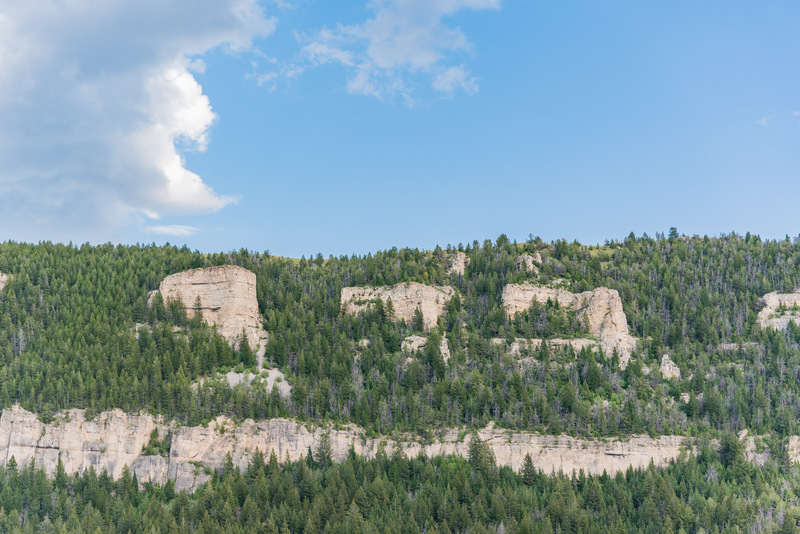 Deer Haven Lodge offers an unforgettable experience within the Bighorn Landscape. The engulfing beauty promises to revitalize and inspire everyone who comes in contact with this idyllic American landscape. "This was a nice departure from the catered food I was having in the evenings on my bicycle tour. I had a tasty grilled chicken sandwich and some crispy fries that really hit the spot. This is an off-the-beaten-path place...and you'll fly right by it going down the mountain." "Rooms were very clean and cozy." "We rented a motel room at Deer Haven for two nights. Rooms were very clean and cozy. We were able to see moose, deer, as well as woodchuck. Very good to get the semi off the grid!" Enjoy the simplicity of cabin living in the mountains. Deer Haven Lodge is operated under special use permit issued by the USDA Forest Service.